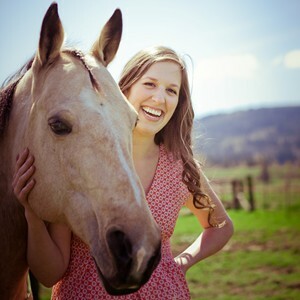 First Job After Graduation: Head Trainer, Riding Instructor and Manager at Columbia River Equestrian Center in Irrigon, OR. 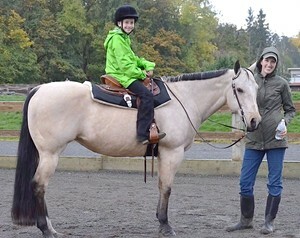 Owner / Head Trainer / Head Riding Instructor at Oates Training and Lessons LLC in Port Orchard, WA and Riding Instructor at Lone Eagle Ranch in Poulsbo, WA. Simply put – I love what I do. Seeing the excitement on my students faces when they reach their milestones and the positive differences I make with each horse I train make my job easy. I can't imagine doing anything else. What is your favorite memory from MM? I made many unforgettable memories at MM and had the time of my life. While it was definitely hard work, spending so much time with so many others that share my passion was amazing. Many lifelong friendships were made and an incredible amount of good times. In what ways have your experiences at Meredith Manor impacted your career and who you are today? The number of horses we were able to work with – from a fully trained seasoned reiner to young unstarted horses to horses with big issues – all while under the guidance of an instructor. I can thank Meredith Manor for making me the confident trainer and rider I am today no matter what kind of horse I am working with. Any advice for prospective students considering attending Meredith Manor? Go to MM if you are seriously SERIOUS about making a career in the equine industry. It was hard work and long hours and no, the dorms aren't the most glamorous, but there is so much to learn and experience that is hard to find anywhere else. Come with an open mind to LEARN new things and methods, and be prepared to take what you love and leave what you don't. I don't think I could have learned as much as I did at Meredith Manor anywhere else. View Julie's feature from 2006. I feel so lucky to have spent the time I did in the Teaching department at Meredith Manor. It really helped me to discover teaching as my calling!